Unless specifically requested by the donor, planned gifts will benefit the United Way Endowment Fund, a permanent and stable source of income for our community and United Way. Annual workplace campaigns, United Way’s main source of funding, are vulnerable to changes in our region’s economy. During times of economic slowdown or downturn, community needs increase while the community’s capacity to give decreases. United Way will invest your planned gift in an endowment fund that will stabilize funding for community programs for many years to come. 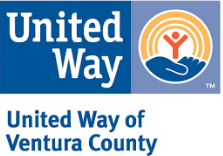 Please contact Philip.Hitch@vcunitedway.com for more information.